TTV (172/365 year 3) – Annoyingly Boring? We were sitting out on the patio on Friday afternoon and I, as usual had my camera. 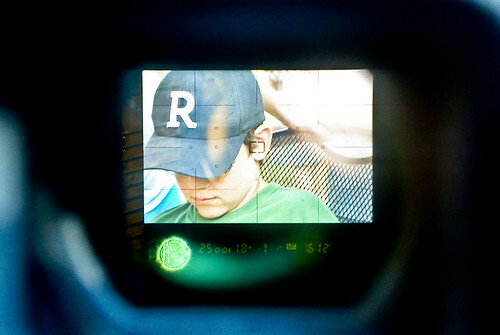 I don’t know why, but this time I was moved to shoot through the camera’s viewfinder. Holding my camera phone up to the view finder I took this photo of my son. He was, bless his soul, doing some summer reading. There are whole groups dedicated to through-the-viewfinder shots, but this one’s a bit different. Usually they are shots taken by a DSLR through the viewfinder of an old film camera. Cool effect, I like it.